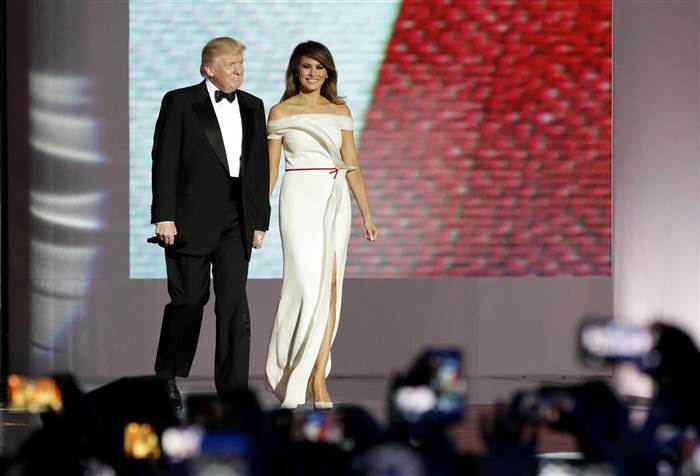 For the inaugural balls, Melania wore an ivory column gown designed by Herve Pierre. 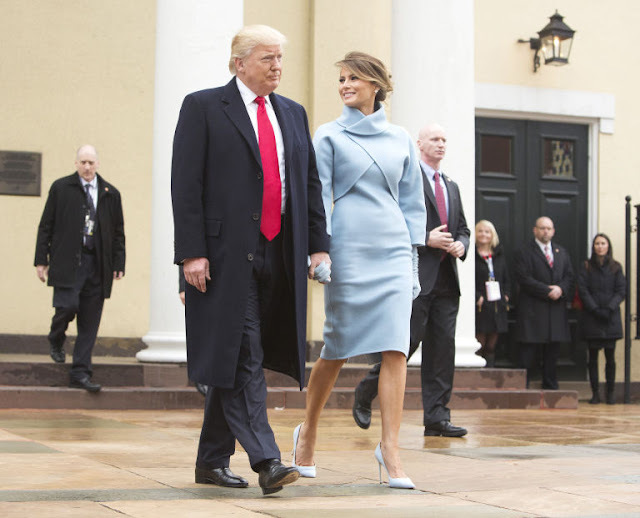 According to Pierre, he dressed other first ladies. 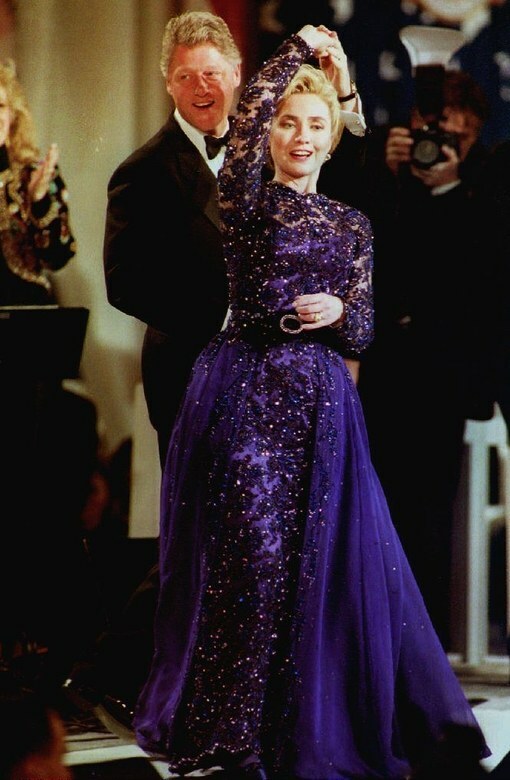 While at Oscar de la Renta he dressed Hillary Clinton, plus Laura Bush and Michelle Obama while working with Carolina Herrera. It is also been revealed that Melania had input into the design creation. 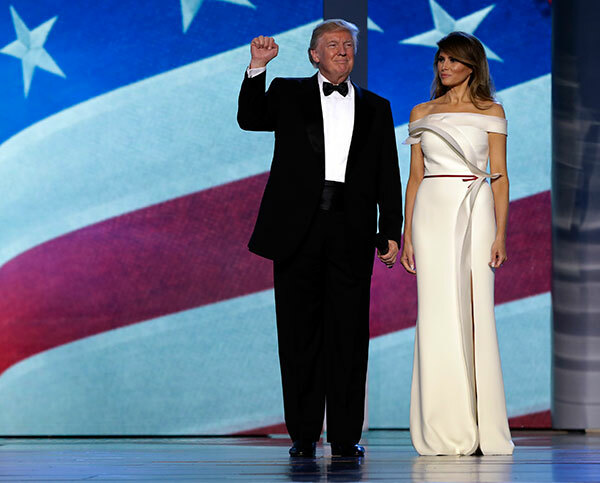 I thought it would be fun to look back at the most recent first lady inaugural gowns. 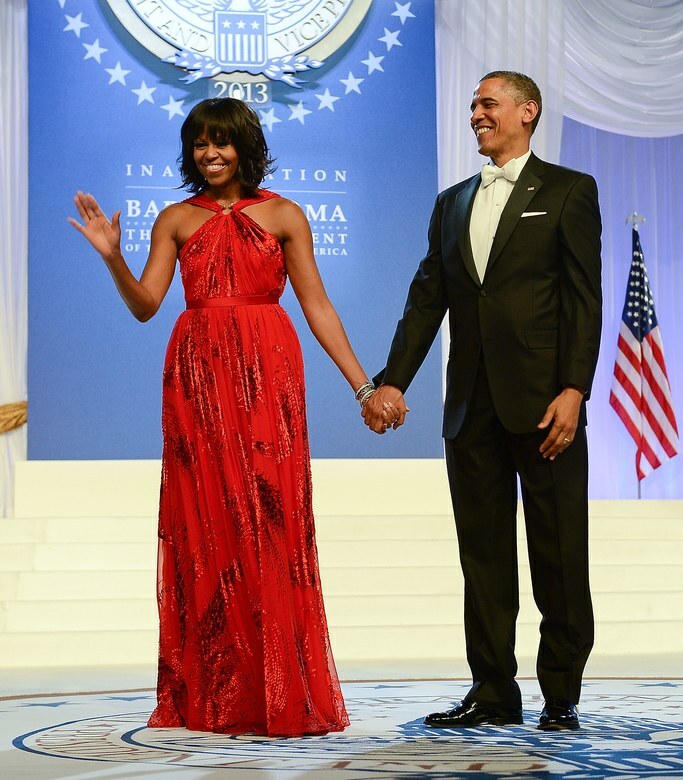 Michelle Obama, 2013, chose Jason Wu for her second inaugural gown with shoes by Jimmy Choo. 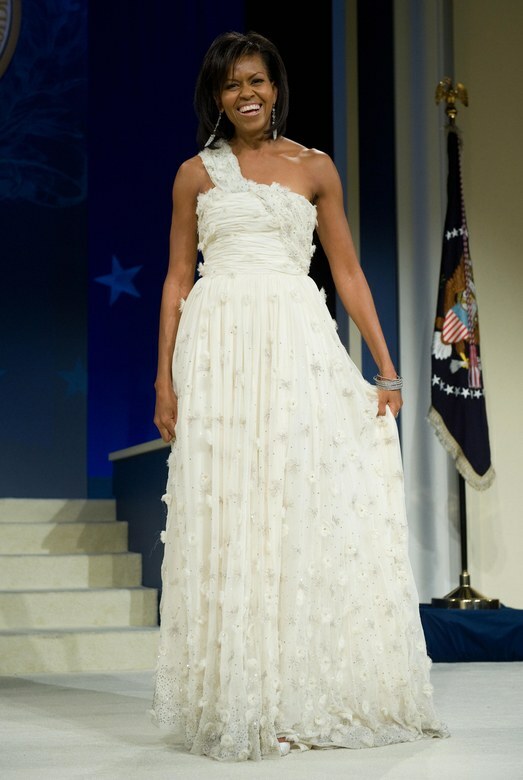 Michelle, 2009, chose Jason Wu for this ivory chiffon gown. 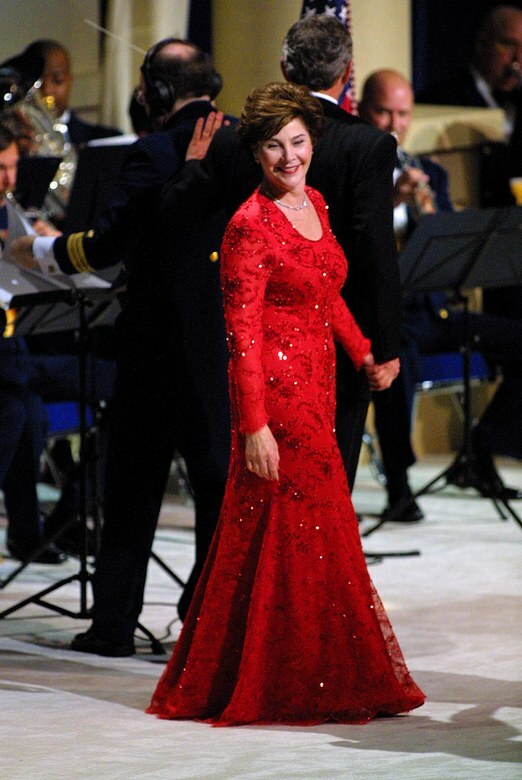 Laura Bush, 2005, chose an embroidered gown by Oscar de la Renta. 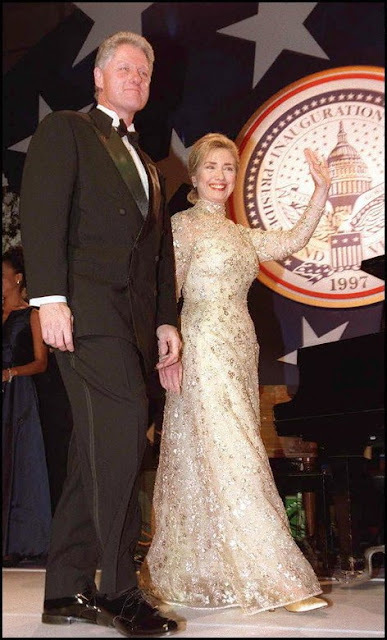 Hillary Clinton, 1997, wore Oscar de la Renta. Hillary Clinton, 1993, chose a purple gown designed by Sarah Phillips, a little known designer from New York. 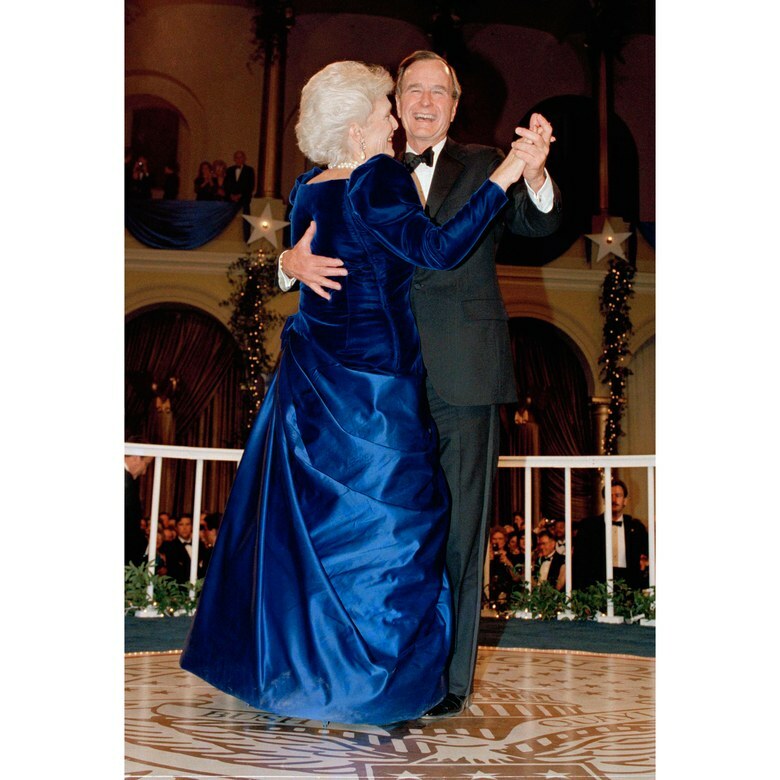 Barbara Bush, 1989, wore this navy and royal blue gown designed by Arnold Scassi. 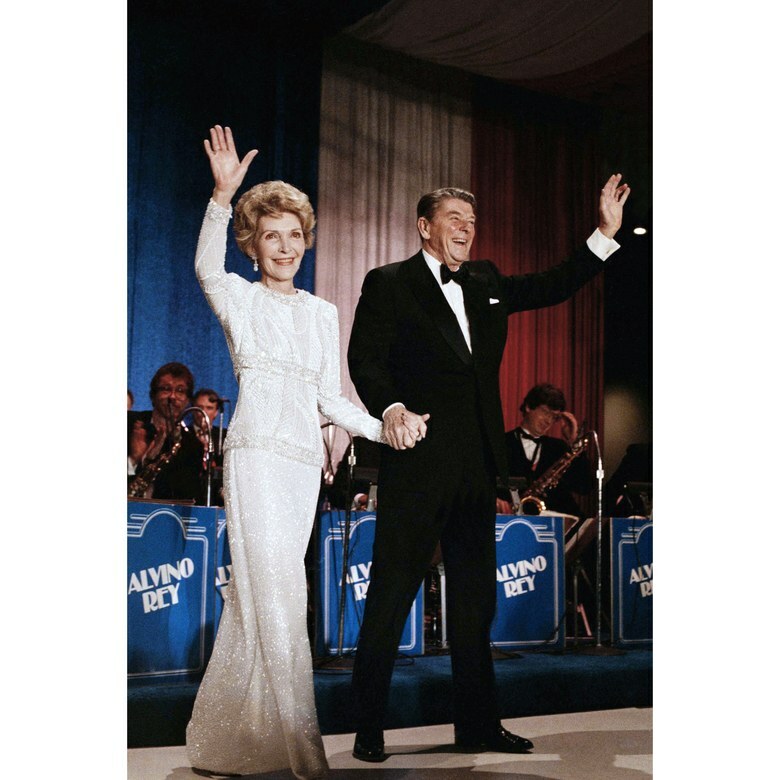 Nancy Reagan, 1985, wore James Galanos. 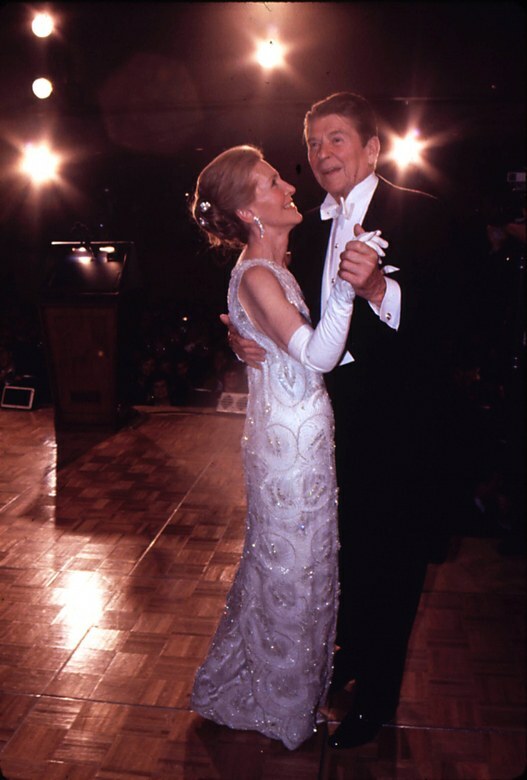 Nancy Reagan, 1981, wore a one shoulder lace gown by James Galanos. 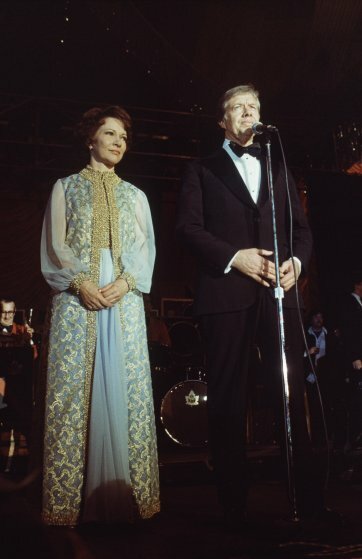 Rosalynn Carter, 1977, wore this gold embroidered coat over a sleeveless chiffon gown by Mary Matise. 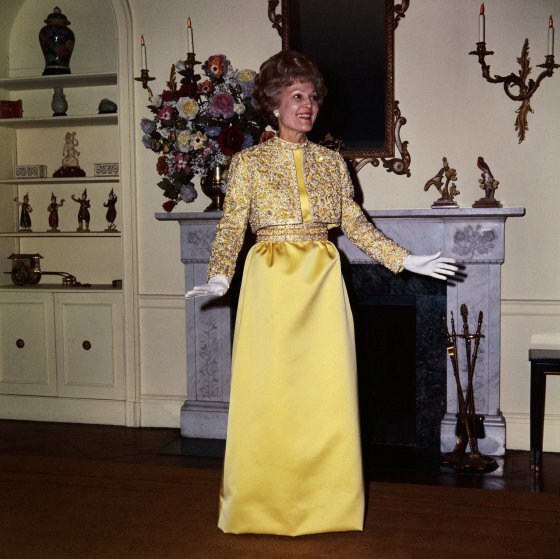 Pat Nixon, 1969, wore this gold embroidered gown by Karen Stark for Harvey Berin. 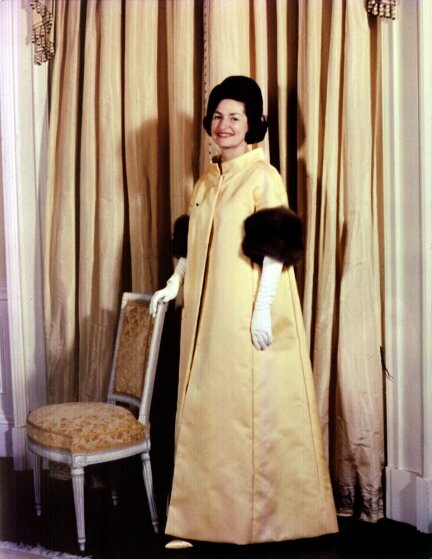 Lady Bird Johnson, 1963, wore John Moore. 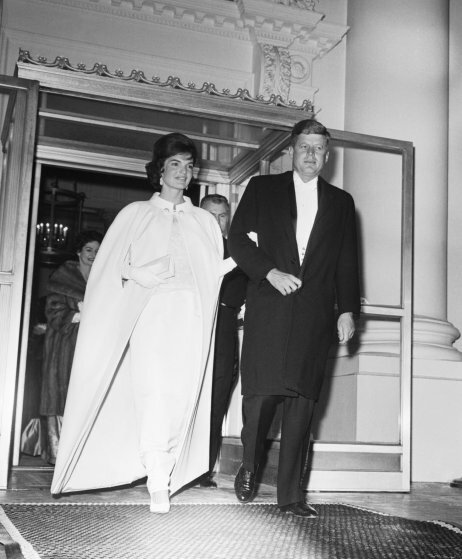 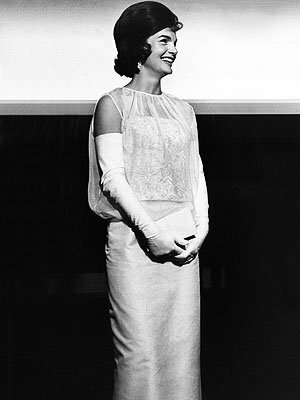 Jacqueline Kennedy, 1961, wore a white cape over a sleeveless silk chiffon gown which were made by Ethel Frankrau of Bergdorf Goodman's custom salon. The dress was made using sketches from the First Lady.